You don’t need to be a programmer to know that well designed software shouldn’t catastrophically malfunction on user error. Instead it should expect user error, avoid malfunction and then inform the user. If it doesn’t, and instead catastrophically malfunctions, this software isn’t designed well. Working with the software in the capacity that I do, I see hundereds of users over the course of a release cycle struggle with the software performing different to expectations, or incorrectly. Missing labels, failing imports, incorrect permissions, filter issues, rename anomolies — sadly it isn’t possible to live on any single release as each come with their own set of mission critical bugs that given enough production time will be stumbled on and have the potential to be a real problem. Especially if you’re pushing the software to its limits on a tight deadline. By upgrading your release you’re essentially robbing Peter to pay Paul. For the sake of fixes or enhancements in one aspect of the workflow, you’ll invariably have the incorrect results elsewhere. Peter, Paul, Cat, Mouse, Snail, Hare… whatever analogies you’d like to put forward, there’s room for growth with regards to Capture One & Software Quality Control. Alas, it’s not all bad news — bug fixes are a good thing, right? So let’s take a quick look and quantify what 11.1 affords us. Unfortunately this critical approach to reviewing software isn’t taken kindly and I think it’s important to remain neutral with respects to conversation. Not everyone who uses Capture One, does so under the same set of restrictions, deadlines, or workflows so your mileage may vary and if you’re interested solely in hearing about new features and referral based discount codes you may be better reading a different blog such as The Image Alchemist, Dr. Prof Dude, Etc. Note: It is imperative to run a version of the software you’re comfortable with in a live production environment. Despite each version carrying its own set of issues the important takeaway here is Better the Devil you know. – Do not tackle a job with untested software. – Do not trust other people testing. – Do not rest on the laurels of external advice. Faster importing for large collections on Mac. I’ve included the list of bug fixes from Capture One’s official release notes and applied my own Categories and Severity. I’ve organised the list by severity so you can make an easier judgement when it comes to upgrading. These categories and severity ratings hold no bearing on how Phase One deals with their issues internally and reflect only my personal opinion. This system will continue to evolve and is open to feedback. It’s a very difficult task to get your general users — who invariably are the individuals who find the bugs in the strangest of ways — to actually submit said reports. There is no way in a currently released version of Capture One to quickly send this feedback to development. An average user with an issue, who hasn’t had their problem discovered by way of a KB article will likely end up on the User Forum, as their aim is to fix their issue at hand under the potential assumption that it has been discovered and fixed by other users or support. And they are looking for a solution, not a conversation. Once this step has been taken and we come up short, or the advice of the support user’s in the forum is to skirt the platform entirely — we end up submitting a report to Phase One by way of a support case. These are unfortunately a lot of steps to go through when the end result is a bug reintroduced by development in a point release. – Make it easier to submit bug reports. A user shouldn’t have to login and look to file a ‘Support Case’. This can be a confusing prospect that turns the most general of users away. A user should have at least the option to immediately supply bug feedback with an online form, or have a catch all e-mail account dedicated to receiving unsolicited feedback. Better yet there should be an option in the app. This would automate the collection of necessary additional logs but it should be an optional inclusion. – Follow up with the user immediately after submitting the bug report. The only thing the user currently receives during reporting is the title of their report and a Report-ID. This isn’t conductive to repeating bugs that crop up. A user should be able to retain a copy of their submitted report the same way Phase One keeps their log. This allows a user to reference old reports and potentially make tracking the source of the bug an easier prospect. – Duplicate open and acknowledged critical bug reports to a public tracker that allows users to make an informed decision in which version to run. – Allow feature requests to live in an open environment which gives a more public and contributed view to what the ‘general’ or more vocal opinions are regarding those features. This does not have to live seperately from the privacy requirements of an open development beta. – Give the user the option to reopen a case based on the fact a bug has been reintroduced, or not fixed as directed. It would be unfair to shed this unsoliticed advice without reason, it’s important to highlight why I believe these changes should occur, or at the very least improve. Let’s take a simple but important use case. Further to the problem is the way Phase One references metadata. If the file is renamed in Finder which is the only fast workaround that is available, you lose your connection to your Capture One metadata. This includes ratings, raw edits, crops, etc. Quite a painful bug to live with, especially one that spans multiple releases and reported multiple times. Now if we look at the release notes above, you’ll catch the same bug fix. This bug exists still during release, despite the release notes catching the issue and promising a fix. Phase One actually surprised me by releasing version 11.1. An e-mail in my inbox. No closure/confirmation of bugs, no new build to test them fixed. Just the release. I’m writing this as the Phase One servers are being hammered, again. A fantastic sign of a popular program, but a significant inconvenience when you’re setting up a new system, or walking a client through theirs. It’s important not to rely on anything shared/network based on set, and I’d say the same goes for the internet. Sometimes Dropbox will go down. Sometimes Amazon’s E3 farms hit the fan and half of the services in half your apps don’t work. It’s important to always have a backup ability to complete the task required. No dog ate the homework excuses. 20%. I’d decided to browse the forums during the down time, see if there was any positive reception. Fair to note it’s a source of problems and complaints, little more. So we’re not going to find much praise, anyway. Given the cautionary sentence it’s still quite a shame to see people have these kind of issues. I updated to 11.1 this morning and when I opened my catalogue, the contents of the folders no longer show up. I am seeing something similar. All my content under user collections is still there, but most of my folders don’t show up. It’s unfortunate that others are experiencing similar signs of sloppy release etiquette. I personally submitted 8 bug reports, all of which were acknowledged minus one regarding the rename dialog. The problem is when Phase One list a fix in their release documentation and the fix is not accurate. Further it was actually communicated to Phase One during the beta process. Makes you wonder what the point is? It’s curious to see a bug report from Release 9 be ignored, randomly fixed, broken, fixed, broken and left broken despite being specifically called as fixed and thrown out into the wild. — actually, it’s frustrating. It costs hours of time to help see the solidifcation and stability of the software grow, only for it to fall on deaf ears and continue to go down hill regardless. Shame. This software yerns to be so many things and it’s stretching a little too thin as we’re seeing multiple bugs resurfacing and little attention paid to legacy features. The library tool needs a significant overhaul, batch rename is a decade behind. I could go on and sadly I will. No longer towards the deaf ears of a collect only e-mail address. Publicly. If you have any issues you can submit your own to my tracker. I’ll independantly verify the bug (repeat it) and submit to development during beta. You should too. As we move forward we may see a clearer picture of which version should offer the most stability for users who care about this tool in actual production environments. 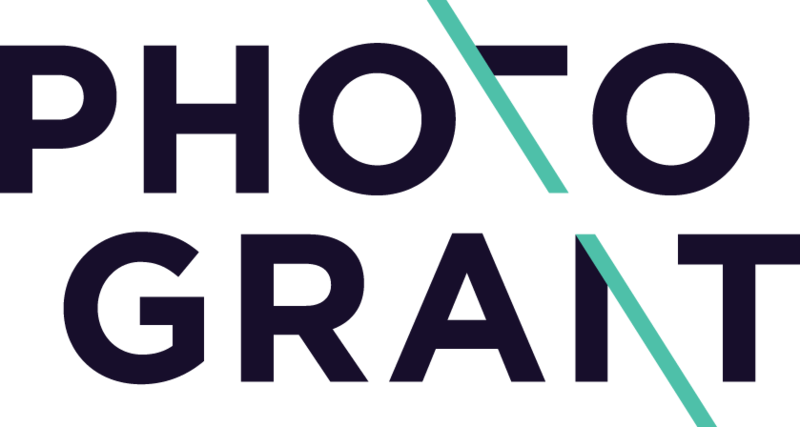 If you have any comments or feedback, you can e-mail me at hello@photogrant.com.